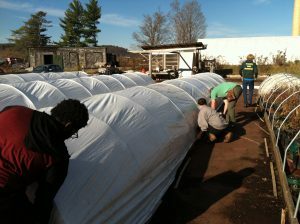 We had the best weather this past Friday for winterizing the nursery! It was t-shirt weather for sure – sunny, warm, with barely a hint of breeze. Perfect for our job. Matt and Beth offer many, many thanks to Keith Roberts for his knowledge, skill and good humor and also to Sarah, Brian and Zach for their steadfast support of the nursery. A great team indeed. And then came Monday (today). Thank heavens for Friday as the plants are all safe and securely protected for harsh winter weather like today. 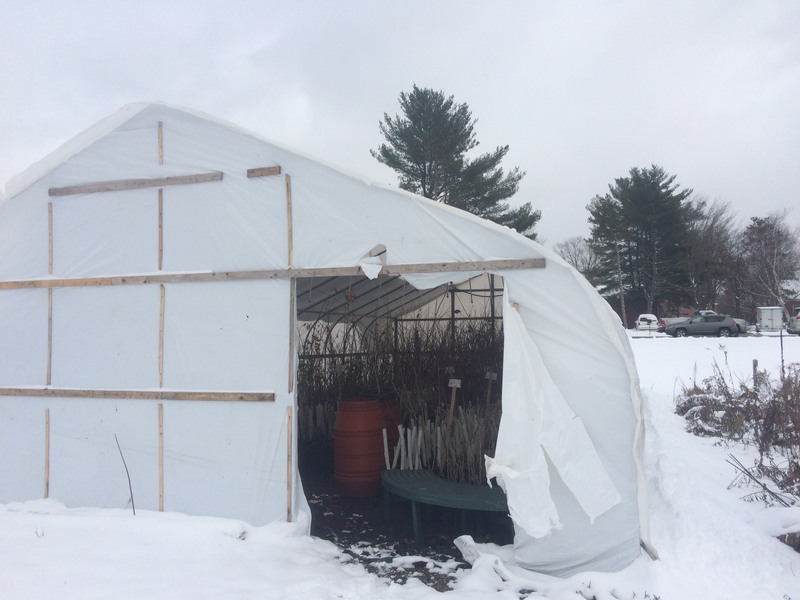 Education and Outreach programming with the nursery and support of this blog is made possible with funding through Lake Champlain Basin Program. ← Thanks and Giving 2016 – Thank you!